Tennis is an excellent sport for exercise and socializing among children and teens. 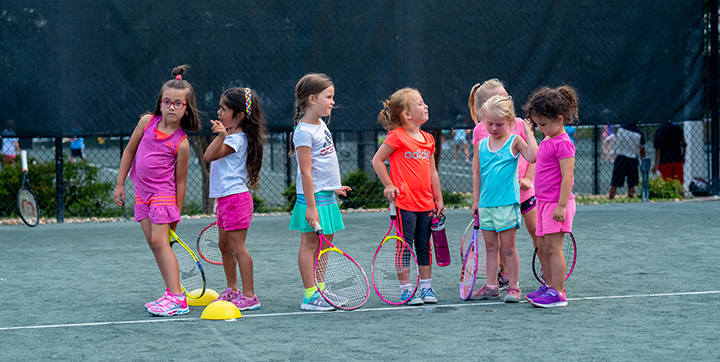 Fawn Lake Country Club provides a variety of junior clinics designed to help your kids develop a lifelong love of tennis. Players in this clinic will use red balls that are slightly larger than a traditional tennis ball and designed to bounce lower and move slower. Drills, activities, and games are designed to keep the participants captivated and elicit maximum learning, movement and fun. Players in this clinic will use orange balls that bounce a little higher and move a little faster than the red balls. Drills, activities and games are designed to increase the level of these young players’ competitive nature, while keeping the experience fun and interesting. Emphasis is on movement, enjoyment, and learning more mechanical aspects of the stroke and footwork techniques. The goal is to get students accustomed to match play and the idea of playing in tournaments. Players in this group will be encouraged to sign up for the USTA and attend a USTA Tennis Bash. Players in this group will use green balls that bounce a little higher and move a little faster than orange balls. Drills, activities, and games will evoke a greater spirit of competition from these young players, while keeping the environment light and fun. Emphasis will be on movement, learning and enjoyment, while introducing more technical and strategic aspects of the game such as winning patterns of play. Ideally players in this group are either already playing in USTA tournaments or starting to think about playing on their high school team. Players in this group use traditional yellow tennis balls. This is a high-intensity training group for USTA tournament players and high school players. This group will focus on all aspects of the game: mental toughness, physical conditioning, technique and tennis I.Q. Players will push themselves to reach their peak potential in a fun, team-like atmosphere. 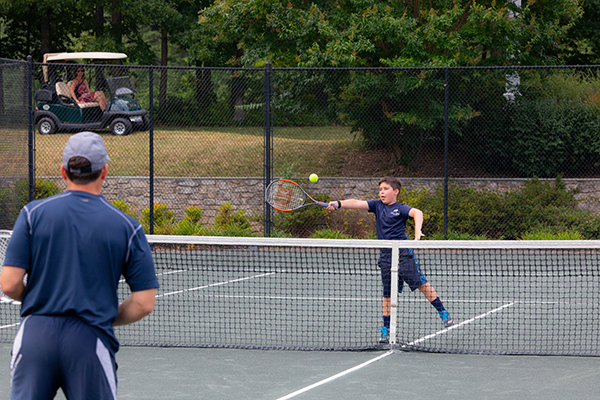 Players in this group are strongly encouraged to play regularly in USTA tournaments and on their school team.